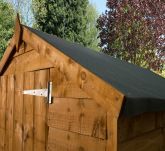 The Small Shiplap OSB Apex Range is built using extremely good quality materials. New for 2015, the Forest Chalet is jam packed with action. 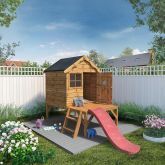 It's got a sand pit, slide, playhouse area and a firemans pole! 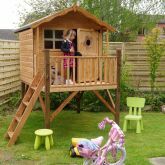 The 4x4ft Snug playhouse is a beautiful and flexible building. 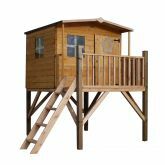 The Overlap Apex range offers a rustic look at an affordable price, guaranteed to suit all budgets. 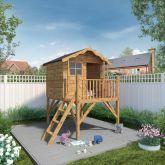 The Rose range is extremely beautiful and will provide hours of fun for your children. 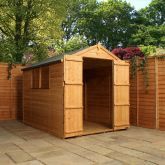 The Corner Shed is an attractive, space saving design perfect for the corner of your garden. 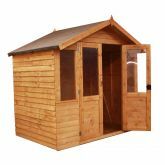 The Small Shiplap Pent Range is great value for money. 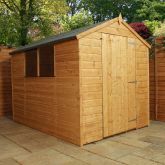 Combines traditional features with a stylish design. The Poppy Range is a favourite amongst our customers and their children.